Your prospective clients are afraid of you. And it’s not just you. They’re afraid of most freelancers who they don’t already know. Overcome those fears, and you’ll close more freelancing business. Ignore your prospect’s fears, and you’ll lose business. Does overcoming your prospect’s fears sound simple? It’s not. Overcoming client fears is quite a challenge. And quite frankly, it’s something that many freelancers don’t even try to do. Your prospects will probably never admit to you that they are afraid. Instead, your prospects will waffle about, never making a final decision. Or, they’ll move on to a freelancer who they feel that they can trust more than they trust you. If you’re having trouble converting prospects to clients, it could be because you haven’t addressed your prospect’s issues to their satisfaction. In this post, I’ll list four things your prospective clients are afraid of. I’ll also explain how you can overcome those fears. If you liked this post, you may also like the post Improve Client Communications and Win Over that Problem Client. We all know why freelancers fear working with new clients. Those fears are legendary. Our fears include not getting paid or getting stuck on a never-ending project with massive scope creep. Nearly every freelancer has at least one story of a project gone bad due to a bad client. And there’s a reason for our fears. After all, a new client is an unknown quantity. They could be great to work for. Or they could be awful. However, just as we freelancers fear getting stuck with a bad client, our prospects fear getting stuck with a bad freelancer. Work will have to be redone. It’s sad, but I’ve seen job listings for project rework. Those ads mean that somebody botched the project the first time around. Unfortunately for our clients, rework drives the cost of a project up. The freelancer will disappear. We freelancers fear getting scammed. But our prospective clients also fear getting scammed. They may be afraid that the freelancer will take the money and run, never to be heard from again. The deadline will be ignored. Sadly, some freelancers out there look at deadlines as suggestions rather than guidelines. Their chronic tardiness in turning projects in gives the rest of us a bad name. The freelancer will be disagreeable. We freelancers don’t like to work with disagreeable clients. So, it should come as no surprise that clients don’t like to work with disagreeable freelancers either. It takes a lot of faith for a prospect to put their trust in a freelancer who they have never heard of. It’s up to us to give our prospects a reason to trust us. 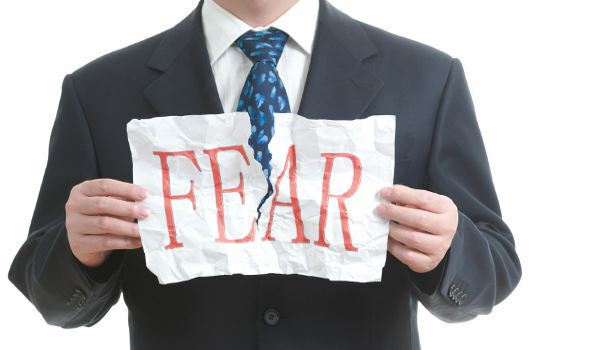 When you market your freelancing business, do you address your prospect’s fears? If you truly want to attract more freelancing business, you must address your prospect’s concerns. If you don’t, there’s little to no chance that a fearful prospect will become your new client. Build relationships. It’s scary to do business with a stranger. However, if you’re using good networking techniques, you won’t be a stranger. You’ll be someone who the prospect knows and trusts. Have an updated portfolio. One of the best ways to show that you do quality work is by displaying some of your past work. Keep your portfolio current and make sure that it features your best work. Publish testimonials. Your prospects feel a lot less nervous when they can read about the successes of other clients. That’s why getting good testimonials is so important. Use a contract or written agreement. We freelancers tend to think that contracts protect us. And they do. But they also protect our clients by providing a written record of what was agreed upon. Invite discussion. Ask them what’s wrong. If you can keep the lines of communication open between you and your prospect, you just might get them to tell you about their fears. Then you can address them directly. Can you think of any other fears that prospective clients might have? How do you address these fears? Laura Spencer is a freelance writer from North Central Texas with over 20 years of professional business writing experience. If you liked this post, then you may also enjoy Lauraâ? ?s blog about her freelance writing experiences, WritingThoughts. Laura is also on Google+. What Will You Do With Your Extra 50 Minutes a Day? FreelanceM.ag is a community-based website for freelancers. The site includes a popular blog, a user-submitted news section, a design gallery, and a design job board. We are often looking for writers to contribute to the site. If you are a designer, you know a lot about certain topics related to design, and you love to write, we want to hear from you. Looking for a particular article? Want to browse through the content we've published? Check out our archives for a chronological, monthly listing of articles and posts. There are many ways you can receive the content we publish. You can grab the main RSS feed, follow us on Twitter, like us on Facebook and even get new articles delivered by email.